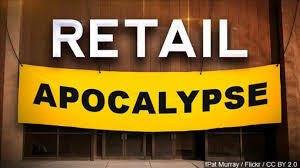 Retail Apocalypse – You Can Pretend It’s Not True! It’s a tough statement to make as someone who has been in the industry since 1981 – but like everything that started in the 80’s – we had a great run for a long time but when technology moves in and changes happen we just cannot expect things to last forever. And now I read daily the articles and missives from the industry genius’ that retailing is alive and well and going to be great! So I dug into these optimistic words of wisdom and contacted many of the writers to see what they are basing their statements on. Of six authors only two bothered to even respond to defend or at least explain their positions. And those two were more disturbing to me than the non-responses. They were so disconnected to the independent retailer that it was alarming. 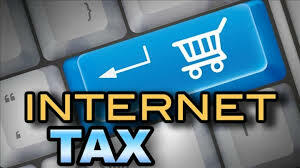 Their articles were geared towards a couple of the largest retailers in the industry. Public traded companies who bleed money even when their sales increase. The articles of optimism certainly are not geared towards us independents. One of the information providers for malls around the country published an article this week stating that MALLS ARE NOT DEAD… The Retail Apocalypse Never Happened! So I read with great interest to see what the article was based on. And, sure enough the writer explained that malls are being “re-imagined” to include health clubs, restaurants, medical centers and INDOOR SKY DIVING! Well, that really helps us small retailers, doesn’t it! All that we know is that small retailers have had to leave the malls because of lagging sales and the malls have to fill the spaces. 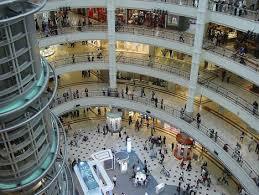 They are doing what they need to do, but do not confuse an occupied mall with success for the retailers. They are success for the landlords who filled vacancies. Nothing here is helping the independent retailer. So I continued to try to understand the other writers who claim retailing is not suffering. While a few articles stated that numbers are down, they have actually put the blame on the small retailers by not engaging the shoppers! According to them you can turn the downward trend around by giving better customer service and experiences. Put unique products into your stores and that’ll save the say. I have heard that song and dance for years now and have to respond (again). I don’t care how many salespeople you have following around a shopper – this is not going to change the trajectory. Also, new products? Seriously? Every retailer is always looking for the new next best thing to cash in on. Do you really think you are going to get the scoop on buying the next hot product before the big box stores or online retailers? It’s not like the old days of the 80’s and 90’s – we have something called the internet! Not only do products move at the speed of light we now also compete directly with the online China sellers who happily sell directly to our customers. And as we learned many of our customers are willing to wait 3-4 weeks to get the hot item in the mail from China at a fraction of the cost we could sell it to them. So, the item is warm not hot when they get it – we still lose a great amount of business to this. So to all the pundits claiming that retail is alive and better than ever – hey, I have an idea, why don’t YOU open a local store and experience the challenges first hand rather than sit at a desk in an office and spew inaccurate info and ridiculous “tips”. My dear retail store owners, you are not doing anything wrong. 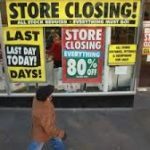 You are not missing out on any resurgence of wealth for small stores — You are churning out a living and having to reinvent the wheel every day you open your store. You are in retailing because you love the notion of being a shopkeeper. I wrote this to assure my fellow retailers that most of the articles about our industry are bull****. We live the industry daily. As you also know, things are all not gloom and doom – we do have business, just not as much as we had. My advice for fellow retailers is to stock lighter inventory to keep liquid and include as much variety in your merchandise selections as possible. Start or upgrade your website because e-commerce will be a factor in keeping your business rolling along. If you have the energy to create in store experiences as the pundits expound on, knock yourself out. Personally, I’m not putting on a clown suit and expending all my energy to bring in one or two browsers to my store! I have been in the fixture and installation business for over a decade and one thing I hear often from clients is that union carpentry crews are expensive. There are many cities who require workers on a job site to be union members and there are several reasons for that, some political, some safety-wise. Unlike their non-union counterparts, Union carpenters must serve a rather long period of apprenticing in the field before they qualify as a full service journeyman. This thorough training ensures that all crew members have the highest level of quality and professionalism for every project. This training allows crews to work quickly, accurately and safely at all times. Many clients who have used union crews discover that while the rates are higher, the projects run more seamlessly and efficiently, often saving money in the long run. For over 130 years the United Brotherhood of Carpenters, with over half a million members has been a leader in training, educating and representing the future generations of construction professionals. There is no group more committed to building relationships than a union carpenter. With hourly costs easily ranging beyond one hundred dollars an hour in most major cities, it is important to know how you can minimize your costs when you are employing union carpenters. I tell my clients that their preparation before the project is very important. Making sure that the trucks are on time, the fixtures or millwork is properly made and pre-assembled in their shop before it gets to the job site are two important factors in budgeting for a crew. One of the most unique programs in the industry is our company’s special SHIFT RATE pricing. We save our clients thousands of dollars by sending our union carpentry crew to their projects anywhere in the USA and billing a simple net hourly rate! Our crew then works under our clients own supervision effecting a productive and cost controlled project. Rather than “guess-timating” a fixed price, which is often incorrect and inflated, Store Force provides one net hourly rate with no “fat” and no contingencies. My goal as national Union Sales Director for Store Force is to present the best and most practical options for our clients needing union carpentry and union installations around the country. Many of our clients are open-shop companies who partner with us to accommodate their union projects. Please call on me any time for more information, rates, or to learn more about our union shift rate pricing. I can be reached at: 1-631-672-3150, unioninstallers@gmail.com, www.unioninstallers.com. YES I know that traditional retail stores have been having a hard time over the last several years as shoppers buying patterns have been changing. While we have seen many consumers, especially the younger crowd increase their spending online, the fact is that traditional retailers still win when it comes to ringing up sales. However, the chipping away at the retailers does take a toll and many stores have been working around the clock for ways to combat the changes. WELL, here is one of the craziest things I have seen of a retailers brilliant idea to give itself relevance. Nordstrom in West Hollywood, California just opened and customers who stroll in will see tailors altering suits, stylists giving fashion tips and will be offered some wine or fresh squeezed juice while they wait for a manicure. All sounds like a wonderful spa-like experience, right? What the shoppers won’t be able to do is buy clothes that they can take home with them! THIS is Nordstrom’s new tactic for a struggling business. They want to cut costs while keeping their shoppers interested so they are opening a store that will be like a page from an e-commerce website. The concept: Little or no merchandise will be stocked at the store! Come, pick out a lovely dress, place your order and leave empty-handed. MY goodness, don’t they realize that the problems online apparel sellers had, and still have, is that customers want to try on the clothes first. Having a retail store with no merchandise is like the Emperor wearing no clothes. They want you to come in, browse around some catalog pictures and mannequins, spend your money and wait for the mailman to bring your goods. Sounds an awful lot like online shopping but with more work as you have to drive to the store, park and complete the transaction in person. I am devoting a good portion of our news column to this today because apparently the big influential retailers think this is the way to go. Wal-Mart is eyeing the idea of stores with no inventory as well and may be considering this for their future expansion. While it certainly streamlines things at the stores and massively cuts overhead it create absolutely no shopping experience for consumers and I have to say it looks like it will be a disaster all around. BUT what do we small retailers know? Wal-Mart spent $310 million this summer to buy Bonobos, a “guideshop” pioneer. Stores filled with showroom pieces and samples you can order. They’ll be delivered to you later. Thanks for coming in to shop! Many of these companies are publicly held and Wall Street is not exactly embracing this type of unit. Perhaps that’s why Nordstrom was looking to take themselves private recently. Who knows, but what I do know is that this seems like a completely ridiculous idea. Maybe our small stores will do well by being so unique that someone can actually come in, buy something and take it home with them! Who’d have thought there’s hope after all. The giants like Amazon, Target, Walmart and Costco have many competitive advantages over small click and mortar and e-commerce businesses that makes it very difficult to compete on identical products. Competing with these giants is addressed in many articles over the last years but as astute small business-people see with many big brands jumping onto the Amazon bandwagon, the prospect of beating Amazon is just not realistic. The fact is that these large retailers have a real competitive advantage over smaller ones. 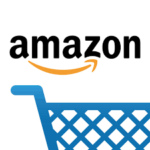 Amazon is both a retailer as well as a marketplace which allows someone to buy from a third-party retailer on their website. It turns out that many of these third-party vendors sell for pennies in profits. How could you compete with that, any WHY would you? The only success that I can see in competing with Amazon is to try to sell something different than what they sell so you’re just not competing with them. That is a mantra that is pushed often by writers and speakers at merchandise shows, but the reality is WHAT could you sell that is not available on Amazon? Maybe a custom product or hand made product would work, but that is not practical for many of us mainstream retailers. Some retailers have taken to selling merchandise on a subscription box basis — and that works for some merchandise but really not the answer a retailer like myself wants to see. The sad news is that all of the writers and speakers that I have read and listened to over the recent years stress finding unique merchandise (good luck with that!) and at the recent ASD Marketweek show there was a speaker who caught my attention when he said Amazon was killing our small retailers – but then went on to say that we can fight them by giving better customer service to our shoppers. Really?! This is the sort of dribble that permeates our industry that does no service to anyone who has been active for more than a month or two! You’re not going to combat Amazon with better in-store service, especially since you’re going to be on an uphill battle even getting the shopper into your store. I hope that maybe our readers have some tips to share that have helped them combat the giants and will share there here for our fellow retailers. There is no simple answer to our survival but I do know it’s not customer service or offering a latte to shoppers at our stores. This article brought to you by Retailers Forum Magazine, a monthly wholesale merchandise magazine servicing the industry since 1981 with no-nonsense articles and information to this country’s retailers. WHILE the 2016 holiday sales season was profitable for many independent retail stores, it was not as promising for some of the major chain stores who have announced below average earnings. The post holiday numbers are in and the retail industry as a whole had the largest increase in sales in the last five years. Consumers opened their wallets and made a record amount of purchases, but much of the retail money was spent online. The droves of shoppers did eventually turn up at the retail chains but they were driven by heavy discounts. PROMOTIONS are great for shoppers but not so much for the store owners. While many small retailers held their own, the large chains felt the brunt of the challenges. MACY’S has announced that it will be closing about 100 stores in 2017, which is roughly 15% of their locations. Along with those closings comes job losses which are expected to be as many as 10,000 workers nationwide. Sears has also announced the closure of many of their stores as well which will also result in many layoffs. AMERICANS were in the mood to spend – just not at traditional stores. Independent retailers were quick to realize this and have been building, tweaking and improving their online presence to make sure they prosper for the new year. The challenge that all retailers have in this changing environment is to better define their place in the market and create experiences both on and away from the shoppers computer keyboards. 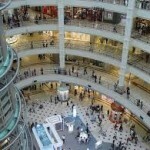 Stores will need to become more of a destination or entertain customers in order to prosper. The retail store is not dead, but the retail store of the past is. It’s a far cry from the days of unlocking the front door and letting the line of shoppers inside! This Holiday’s Shopper….One For You – Two For Me! SHOPPERS are planning to put themselves at the top of their holiday shopping lists according to some new information just released. Many shoppers plan on having a more conservative budget this year with the average consumer planning to spend around $935.00 for the holiday season. Total spending includes gifts for others, self spending, food, flowers, decorations and greeting cards for the holidays. Last year spending was just slightly higher. RETAILERS should be ready for a rush of shoppers in the weeks following the presidential election as they get more economic certainty and will start taking advantage of the promotions and deals. It is believed that once the election has passed shoppers will pull themselves out of the election doldrums and get into the holiday spirit. FIFTY-eight percent of consumers plan to buy for themselves, with spending up 4% over last ear and marking the second highest level of personal spending in the last 13-years. Many shoppers are taking the “one for you, two for me” approach this year and retailers are preparing a vast array of merchandise and promotions of items that shoppers want to give as great gifts as well as buy for themselves. Make sure your store follows suit on this trend. 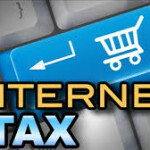 OVER 93% of those surveyed also stated that they would be taking advantage of free shipping and conveniences to buy online and pick up in store, as well as expedited shipping. CLOSE to half of those surveyed will be tackling their holiday shopping early again this year, many having already started in October. The same percentage said they would start in November and 18% are waiting until December. Millennials seem to be waiting the longest to wait out for the best deals by retailers, with over half of the group waiting closer to the holidays to start shopping. THE hottest items this year: Gift cards at 61% followed by clothing and accessories at 54% and then books, CDs, DVDs or Videos at 40%. Retailers Forum Magazine is the perfect place to find wholesale merchandise for your store or online business. Join us monthly and view each month’s new issue. Is it just the “Bernie” supporters who want everything for free, or has the state of California jumped on the bandwagon of giving away the farm? Retailers in California are feeling the sting of increased shoplifting throughout the state as the government powers that be changed the laws when it comes to penalties for the CRIME of shoplifting. Turns out that the new rules say that anything stolen that is less than $950 keeps the crime a misdemeanor.- and likely means that the thieves face no pursuit and no punishment. 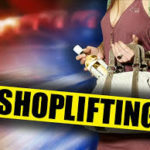 It is already being reported by many larger retailers in the state that shoplifting is up around 15 percent already since voters in the state approved Proposition 47 and ended the possibility of charging shoplifters with a felony and potential prison sentence. The recent ballot also lowered penalties for forgery, fraud, petty theft and drug possession. WHO was doing the voting? Criminals!! What civic minded person would agree to the ridiculous changes in the law? Retailers are saying that while they are installing more security cameras and watching shoppers more carefully it’s just not worth pursuing the shoplifters since the laws no longer protect the store owners and are favoring the criminals. THIS is why Trump and Sanders have picked up steam this election year! 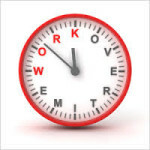 The Labor Department’s proposal to expand overtime would suffocate employee development and company growth, a small gift shop owner from Alabama testified recently at the hearing. Many wholesale merchandise suppliers and independent retail stores are up in arms over this new proposal. Having a blanket overtime rule ignores the fact that the cost of living from city-to-city varies greatly. He pointed out the major differences from his small Alabama city to New York City. Such a dramatic one-size-fits-all increase will have big consequences for workers as well as small businesses. Every dollar spent on compliance of this regulation would have been one that could be used to grow businesses and invest further in employees. The National Retail Federation has found that the more than doubling of the overtime salary threshold will force many employers to convert their salaried managers to hourly,. non-exempt status, and their managers would oppose the rule because overtime expansion would limit their opportunities for career advancement. It would also have a disproportionate impact in rural, low-wage areas. Converting salaried positions to an hourly wage adds pressure to get the job done in a standard 4-hour work week. Most employers will not keep the workers past the 40-hours because of the exorbitant costs and this will hurt everyone. This new overtime rule is bad for employees as well as business owners, it was argued to the Labor Department and small business owners around the country need to speak up against it. The trend that we here at Forum have seen is that many employers are cutting their workers hours. With the mandatory health care inclusion now set at 30 hours, we have heard from many workers complaining their hours now are averaging under 30 hours weekly so employers do not have to put them on their health care coverage. How is anyone supposed to make a fair living and support themselves or their families on part time work. Our country has become one of part-timers and “gig” workers. When all the politicians talk of job creation it would be nice to know if they are meaning full time, full employed workers like our parents enjoyed during their careers. What do you think? Share your comments with us.